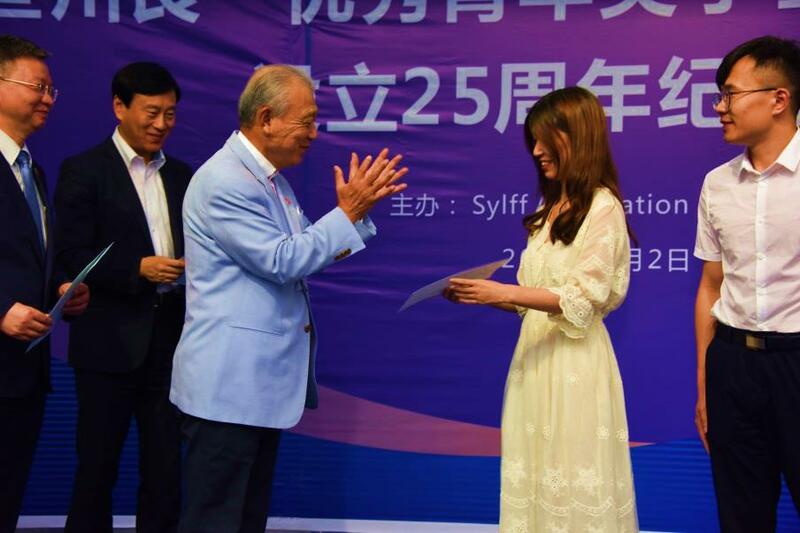 Following the ceremony to commemorate Sylff’s twenty-fifth anniversary at Peking University on June 30, 2018, anniversary events were also held at four more universities—Lanzhou University, Jilin University, Nanjing University, and Fudan University—on July 2–5. Sylff programs at these four prestigious schools, like Peking University, were established in 1992 based on the recommendations of China’s Ministry of Education. Sylff became a major source of financial assistance for graduate students at the time, when scholarships were not yet widely available, thus laying the foundations for the development of China’s higher education. The four universities administered their Sylff programs in distinctive ways, reflecting their respective regional and academic strengths, and developed many community and intellectual leaders over the past quarter century. 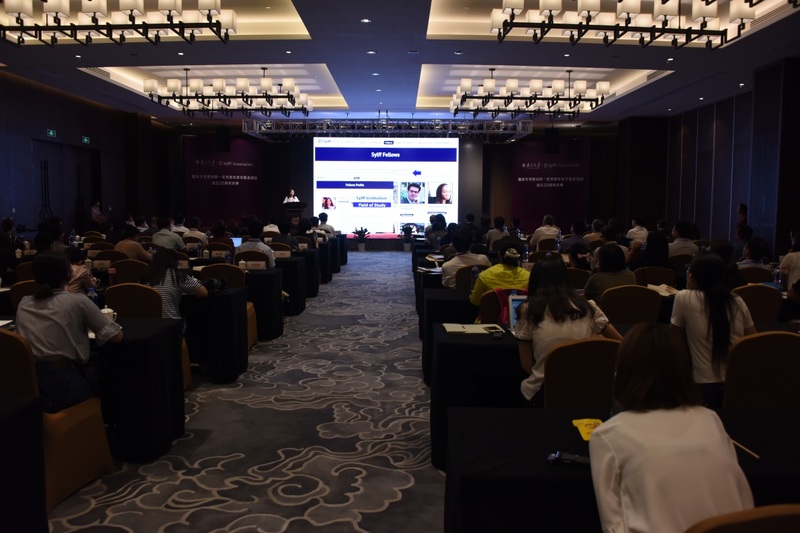 Lanzhou fellows for 2018 receive certificates during the award ceremony. 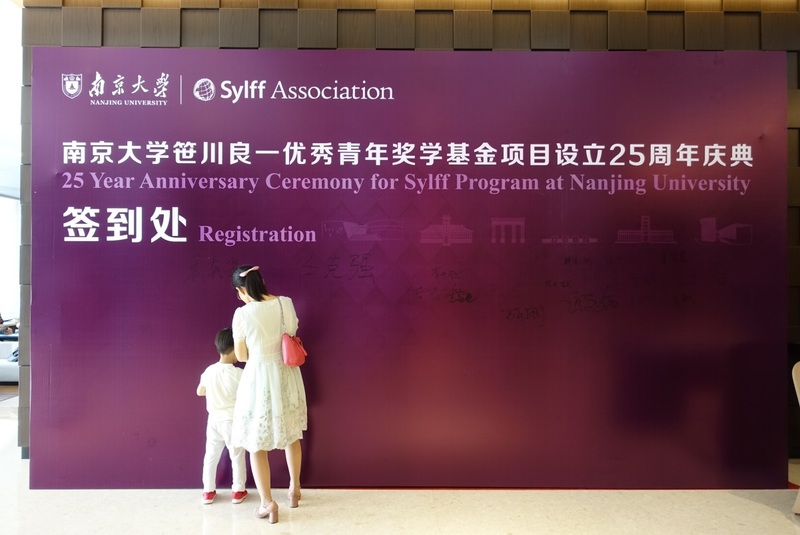 The commemorative ceremonies were attended by both current and graduated fellows, who enjoyed the opportunity to reminisce about Sylff’s early years and to discuss their intentions to participate in Sylff’s support programs, proposals for new programs, and approaches to energize the Sylff community in China. During the anniversary event on 2 July at Lanzhou University, an award ceremony was held for fellows who were newly selected in fiscal 2018. Certificates were presented to the four fellows by Lanzhou University President Yan Chunhua and Sylff Association Chairman Yohei Sasakawa. Jilin University President Li Yuanyuan places a badge on Chairman Sasakawa’s lapel in conferring the title of advisory professor. 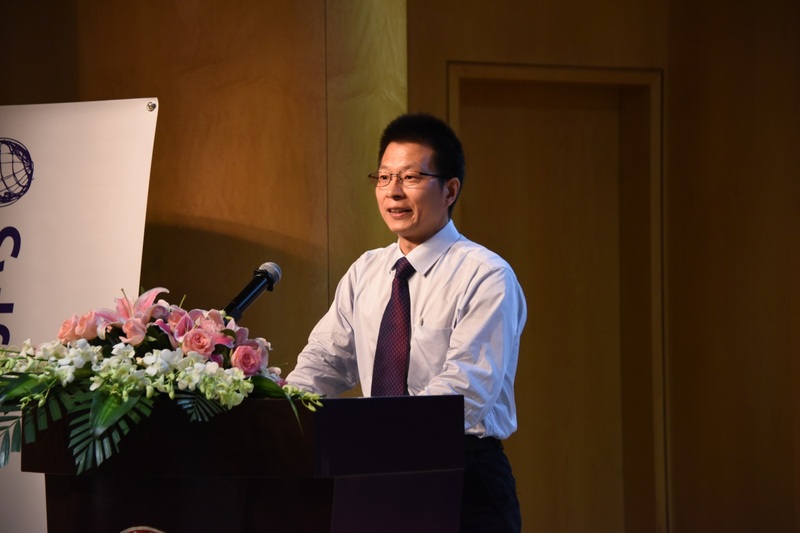 On July 3, during the ceremony at Jilin University, Chairman Sasakawa was conferred the title of advisory professor in honor of the long-term achievements and contributions that Sylff and other programs administered by the Nippon Foundation Group have made to leadership development at Jilin University. A fellow, accompanied by her son, writes her name on a signboard during the Sylff twenty-fifth anniversary ceremony at Nanjing University. The July 4 ceremony at Nanjing University was held at the International Conference Center of the university’s new Xianlin Campus. The building epitomizes the university’s efforts to fuse tradition and innovation over its nearly 120-year history and symbolizes China’s rapid economic growth in recent years. An award ceremony was held for the four fellows who were selected in 2018, and Hong Xiu, a doctoral candidate in the Department of Philosophy, made an acceptance speech on behalf of the other fellows. A presentation of Sylff’s new website and support programs. 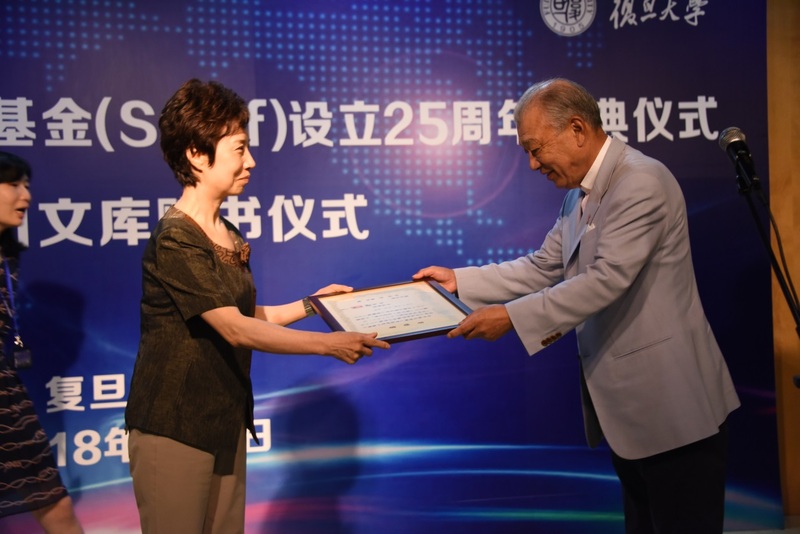 The anniversary event at Fudan University on July 5 also featured a donation ceremony for the Ryoichi Sasakawa Memorial Library. There will be an initial donation of 2,085 books to the Fudan University library this year. 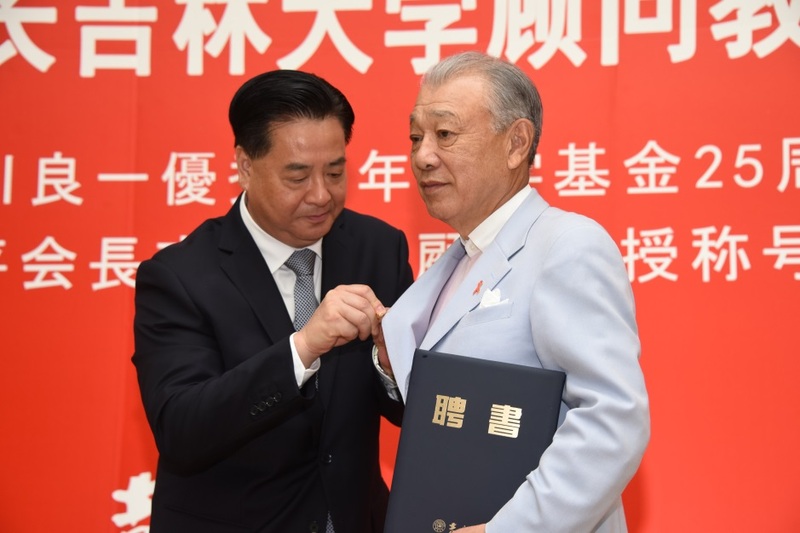 Party Committee Secretary of Fudan University Jiao Yang, left, receives a certificate for the donation of the Ryoichi Sasakawa Memorial Library from Chairman Sasakawa. Fudan fellow Li Chunkun (fellowship recipient in 1998) makes a speech during the Fudan University ceremony.